I just started a new artwork series about famous computer people. First up is Alan Turing. Oh boy he had a tough time debugging his programs on infinite tapes of zeroes and ones. 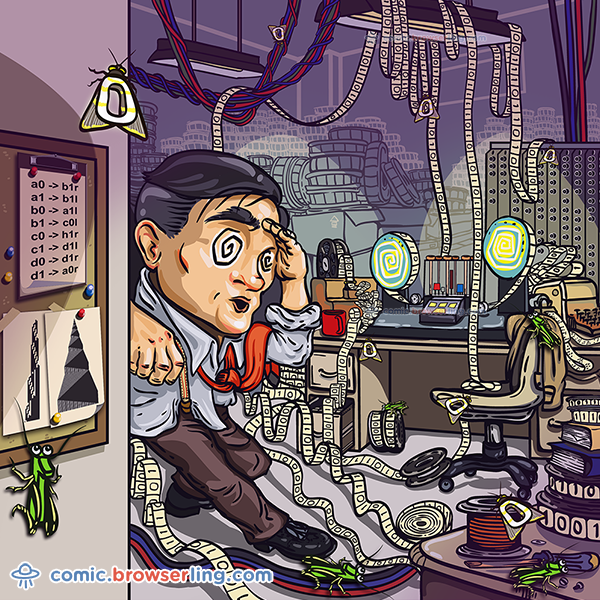 This blog post is a repost of Announcing a new comic series about famous computer scientists from Browserling's cross-browser testing blog.